Though a series of online training, including videos, reading & response queues, homework “assignments,” and practice teaching, Katherine and her team of Expert YFG Instructors will train you in YFG methodologies. Each online participant will receive a YFG Instructors Manual with approx. 100 pages of information on the golf swing and the YFG yoga par/birdie sequence along with proprietary training videos and recorded webinars using state of the art internet tools. Online participants also have the ability to ask unlimited questions of the YFG Instructor teaching team throughout the online training. Basic marketing and business development to increase revenues as a Katherine Roberts’ Certified YFG Instructor. 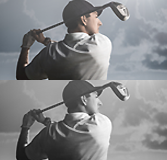 Develop and/or deepen your understanding of the golf swing. Learn leading-edge yoga techniques specific to golf and the golf swing. Differentiate yourself in the marketplace among current and prospective clients. 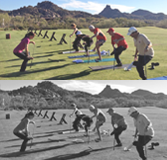 Teach Yoga For Golfers ® (YFG) proprietary methodology to all ages and all levels of physical capabilities. Deliver immediate results in mental and physical performance for your clients. Grow your business and revenue stream. 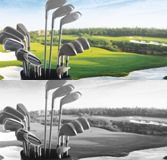 Tap into this sports market – GOLF – with over 26 million golfers in the U.S. alone. Inspire golfers in your life and community with the benefits of yoga. Coach players with an innovative, leading-edge methodology to improve their game year-round, even in the off-season. Online YFG certification includes a review of 17 videos, completing a Q&A, a teaching practicum, and a final written examination. 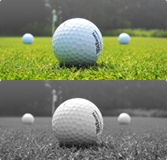 Upon registration, you will receive a PDF of the Yoga For Golfers® Instructors Manual (approx. 100 pages) and links to seventeen (17) videos. Progress through the first 8 videos and complete a comprehensive Q&A evaluation which will be reviewed by a Master Elite YFG Instructor who will provide feedback to you. Progress through videos 9 – 17 and complete a Teaching Practicum Assignment. 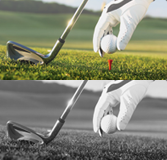 Based on a specific and unique golfing challenge, you will develop and sequence an appropriate YFG methodology that effectively addresses the golfing challenge presented. You will then teach your sequence via a teaching video or a hands-on Skype session. Your teaching practicum will be assessed and evaluated with invaluable feedback provided. Finally, complete a cumulative online written examination. Inclusion in the Katherine Roberts’ YFG Online Instructor Directory – a great source for prospective new clients and referrals.